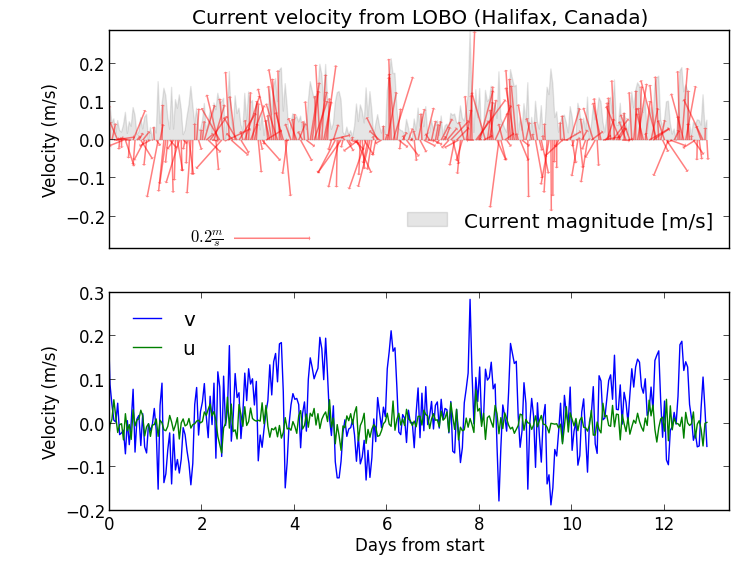 Here we plot surface currents from the Satlantic LOBO ocean observatory moored in the North West Arm (Halifax, Nova Scotia, Canada). We used a 1D quiver plot… often used to represent magnitude and direction of currents at a particular location. This entry was posted in Uncategorized by dondiegoibarra. Bookmark the permalink.